Check out the FAQ section to see if your question has been addressed. Or send an email to helper [at] genesplicing [dot] com. Our occasional online surveys and contests may ask users for contact information (like e-mail addresses) or information about hobbies and interests. It is our policy never to post contest winners' full names, addresses or e-mail addresses. In posting submitted material, typically we will list a first name and last initial along with the city and state. An "opt-out" option is always included in any mailings we make. 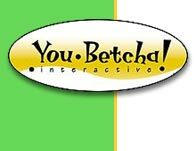 All content copyright © 1998-2010 You-Betcha Interactive, llc. The Home Gene-Splicing Kit is a registered trademark of You-Betcha Interactive, llc.